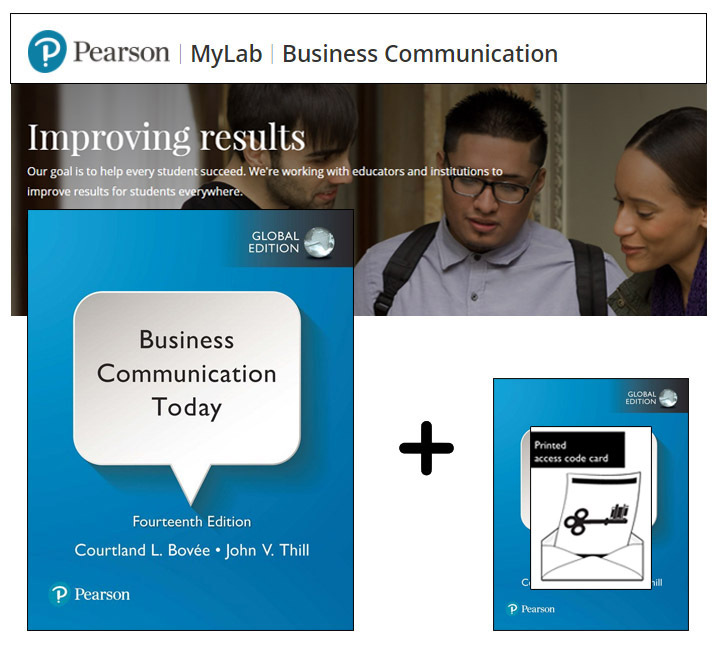 This pack contains 1 copy of Business Communication Today, Global Edition with 1 printed access card to MyLab Business with eText. With a strong focus on mobile integration, the 14th Edition blends current topics, such as social media in business, with more traditional entrepreneurial concepts. The text is flexible and suitable for all students, instilling crucial business skills needed to thrive in an office environment. With a clear, fluid chapter organisation, Business Communication Today introduces, develops, and reviews major concepts to maximise understanding. Pearson MyLab™ is the world's leading online self-study, homework, tutorial and assessment product designed with a single purpose in mind: to improve the results of all higher education students, one student at a time. Please note: The duration of access to a MyLab is set by your instructor for your specific unit of study. To access the MyLab you need a Course ID from your instructor.